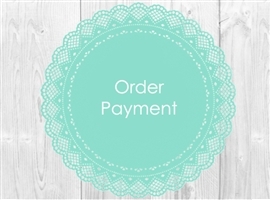 Our Shopping Cart System will allow you to place an order for your Silk Wedding Flowers directly from our website, with no need for order forms! Pick and choose your designs, make the specific selections, ask for changes and customizations if you need to and just check out! If you need an arrangement shipped with less than 4 weeks, please visit our Rush Order section. If you wan to have CUSTOM arrangements designed just for you, based on your ideas or inspiration board, please visit this Section. We LOVE Custom Work! •All of our Arrangements are made with Silk or High Quality Natural Touch Flowers. They are not fresh but they certainly look like them! Keep in mind flower availability will vary and therefore we can not guarantee the same flowers will be available later on. Also, each bouquet is hand made so flower placement will vary. It is always better to send you purchased bouquet back to ensure a better match. •With our Shopping Cart you can make all your flower selections, including Custom Requests and Accessories. If you want the arrangement done as shown in the picture and do not know how to make the selections, you can enter under "Specifications" a note requesting it done "as shown in the picture". • Once your selections are done you can proceed to our secure check-out. At that time you can make a Full Payment or if you prefer you can choose to make a Down Payment. •We require a minimum 40% Down Payment to start working in your order and reserve your Shipping Date. To choose this option , please select as a payment method "DOWN PAYMENT". Our confirmation page will show a link where you can complete your partial payment. •All "Rush Orders" must be paid in FULL. We do not accept partial payments for these. There are no picture approval for orders from this section. •You can let us know in the check out process your Desired Shipping Date. We will confirm this in a separate Email together with any custom details you requested. PLEASE NOTE ALL SHIPPING DATES ARE ESTIMATE, and may depend on changes an updates made to your order. But we do guarantee delivery by your Event Date. •The check-out process will ask you whether you are requesting approval pictures. Approval pictures are NOT available for "Rush Orders", Boutonnieres or Corsages and Accessories. Please keep in mind that orders without approval pictures ship an average of 30 days sooner. Some items DO NOT have an approval picture option (i.e. Natural Touch "one color" Roses Bouquets). •If you wish to Reserve a spot in our Shipping Schedule, even if you do not know what you want to order yet, please select from below the "Hold the Date" option and add to cart. •Once you place your order, we will order your flowers in. Some flowers come from overseas, so please order with enough time. • When your arrangements are completed, if you requested picture approval, we will email you with those. If you did not request pictures, we will inform you they are ready and ship ASAP. PLEASE NOTE THAT ORDERS WITHOUT PICTURED SHIP AN AVERAGE OF 30 DAYS SOONER. •We do not send pictures of boutonnieres or corsages or other smaller items, those are done according to your specifications. We will send pictures of your bouquets without ribbons, since these are added right before shipping to avoid damage while stored. •Once you receive your pictures, you can request changes or updates to your arrangements. Minor changes are included within our prices (i.e. add fillers, change a couple of flowers, etc). Larger changes that require re-making a bouquet, will be quoted separately. If you still prefer to place your order with an Order Form, you can do so. To place an order, please fill out our Excel Order Sheet and email it to mary@wedideas.com . See a completed SAMPLE Order Sheet Here! We will email you back your Confirmed Quote and Payment Information. Natural Touch Small Calla Lily Flower Sample - Free Shipping! Natural Touch Open Rose Flower Sample - Free Shipping!